"The best part of being a physician is developing a true caring relationship that makes a difference in the patient being able to better understand, cope and recover from their illness." 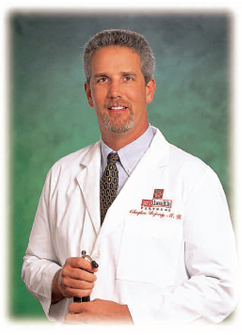 Dr. DeJong enjoys the outdoors and his hobbies include baseball, running, fishing, golfing and photography. He is the father of three boys and is very active in his church. ProHealth Partners is a group of primary care physicians, specialists and healthcare organizations with locations throughout the Greater Long Beach area and surrounding communities. Our physicians are committed to making health care convenient and responsive to the individual needs of you and your family. With contracts with virtually every health plan in the Greater Long Beach area, Los Angeles County and Orange County, you are assured access to physicians in ProHealth Partners. Our physicians are on staff at many of the hospitals in the local and surrounding areas.